Pet Therapy for hospice patients wanted! Interim HealthCare Hospice is looking for certified therapy pets! What can make you feel better more than a happy and friendly pet snuggle? Interim HealthCare is a family owned and operated company, providing care for our patients like we would for our own family. 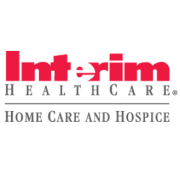 Interim's mission, "We Improve People's Lives", is firmly rooted in its long tradition of helping people maintain their safety, independence, and dignity in an environment of mutual respect and compassion. We are looking for individuals to help fulfill that mission by providing furry companions to our patients. Patients will love the interaction with your therapy pet, while also enjoying the company of a smiling face. Looking for those interested in spending time with patients located in Grand Rapids, Holland, or Muskegon. Time is flexible, any time is appreciated. Pets must be certified therapy animals.